Proyecto Horizon Iberoamérica 2012: Cierre de las inscripciones para las dos primeras sesiones del webinar "Tecnologías emergentes en la educación superior iberoamericana"
Cierre de las inscripciones para las dos primeras sesiones del webinar "Tecnologías emergentes en la educación superior iberoamericana"
Las plazas para las sesiones “Entornos colaborativos y medios sociales”, así como “Dispositivos móviles y realidad aumentada” están agotadas. Por ello, en estos momentos solamente es posible inscribirse a la sesión “Contenido abierto” a través del formulario del webinar. Está previsto grabar las presentaciones que se realicen a lo largo del seminario. A medida que se vayan realizando, estarán disponibles en este blog junto con los materiales utilizados durante las presentaciones. 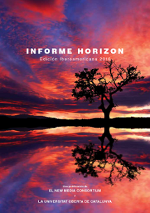 El grupo creado en Linked in Informe Horizon Iberoamérica permanece abierto a todas las personas interesadas en las temáticas tratadas durante el webinar. Paralelamente al desarrollo de las presentaciones, se podrá seguir los comentarios de los participantes etiquetados con el hashtag #hz10ib a través de Twitter. no lo encontre, puedes orientarme? Gracias x compartir el enlace del webinar. Therefore I propose you go with labeled containers or distinct colors boxes for each and every room. Such as use red for kitchen blue for bedroom and so on. In this manner in case all the boxes are placed all together you can distinguish your belongings of a specific room. If finding different color boxes in inconceivable, use sticky paper and labels the containers by that. If that too is complicated for you, then apply marker pen and tag containers according to their room. This labeling is actually going to assist you to in the trouble free packaging and unpacking of the things. good factsd.com it is, very interesting and note worthy. i would love to rad many more, the facts presented are good. I really appreciate the kind of topics post here. Thanks for sharing us a great information that is actually helpful . I am very satisfied for this all article. I have just stumbled upon this article and I'm really impressed by the quality of your work. There is so much that one can learn from simply reading this article. This post was really informative for me, thank you so much. i love this blog have more related to this article for those who want to learn more about this webinar and mobile technologies. As a staff of Senior Care Tampa,i really like this topic because of you provide such an impressive content here.thanks for the informations. Thanks for sharing. I hope it will be helpful for too many people that are searching for this topic.Its really help me to improve my skills. Surabaya Center officially sworn translator to assist you in translating foreign languages ​​with the best service of our linguists. I can't really tell how you do it, but the truth is that you know just how to communicate to the readers. Designer office décor accessories You've kept me engaged fro a while with your content, and the information just makes me realize many things about projects. Your post is of great benefit.